His Holiness Karmapa recently spent two months at Dhagpo Kundreul Ling in France where he received the entire transmission of the Dam Ngag Dzö from Pewar Rinpoche. The Dam Ngag Dzö was compiled by Jamgon Kongtrul Lodro Thaye in the 19th century and consists of teachings drawn from the eight practice lineages which flourished in Tibet. Pewar Rinpoche is a renowned Sakyapa lama who studied at the feet of Dzongsar Khyentse Chökyi Lodrö, one of the greatest masters of the 20th century and also one of His Holiness Sakya Trizin's principal gurus. Please visit the following link for a report on the transmission of the teachings. Lama Jampa Thaye and Dechen Dolma visited His Holiness Karmapa during a break in the teachings. 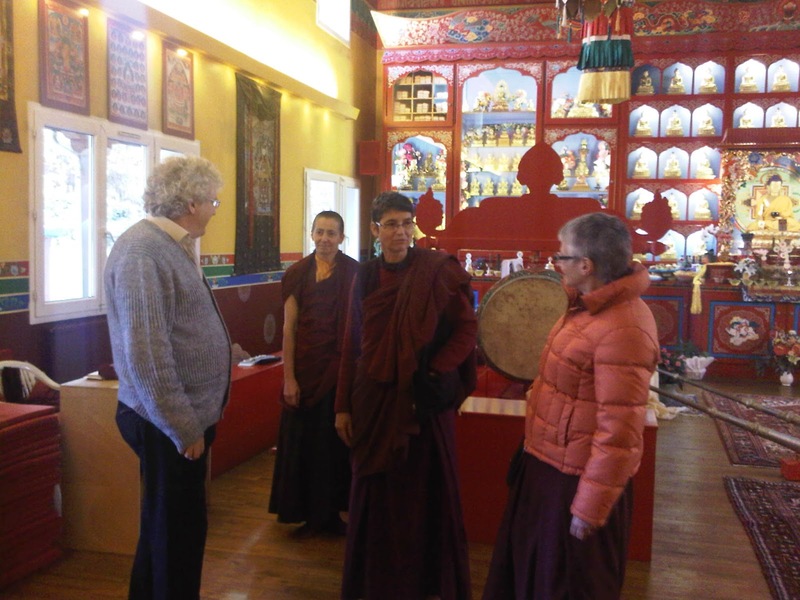 During their visit they met up with a number of friends, old and new, who were also in attendance, including: Khenpo Chodrak Tenpel; Trinlay Tulku; and, another lama called Lama Jampa who is the resident teacher at the Menlo Park Bodhi Path Centre in California.